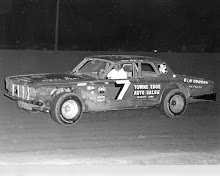 Des Moines, Iowa (July 4, 1974) - Bill Schwader defied two racing superstitions Thursday night and won both ends of the Twin 100 at the Iowa State Fairgrounds. According to local racing veterans, the color green and No.13 are taboo at races. Somebody had better tell Schwader. 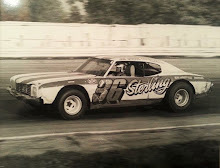 The Riverside, Iowa native drove his green, number 13, 1971 Ford Torino to the checkered flag in both 100-lap features collecting $500 payouts in both before a crowd of 6,500. Bad luck was a reality for Schwader for the first 25 laps as he failed to crack the top 10. 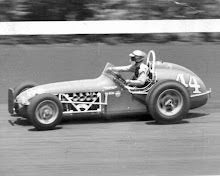 But by the halfway mark of the first 100-lap event, he had climbed to third place behind Ferris Collier and Gerry Harrison. Then more luck headed Schwader's way as he overtook Harrison on lap 75. On lap 78 Schwader edged alongside Collier only to be tampered by a slower car, and fell to second. On lap 80, Schwader bumped Collier going through the third turn. Collier and Schwader bounded into the infield and Harrison grabbed the lead momentarily. However, on the backstretch of the same lap, Schwader was able to power by Harrison for the lead. He would go untouched after that. 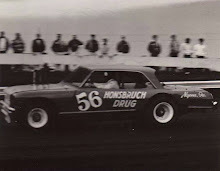 Gordon Blankenship was in command of the second race until hitting the wall in the third turn of the 61st lap. Schwader, who started in the seventh row and moved to third place by the eighth lap, took over and was not seriously challenged the remainder of the race. Billy Myers finished second and Russ Derr of Keokuk, son of racing veteran Ernie, was third. 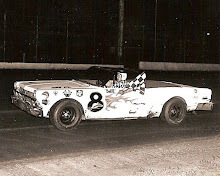 George Barton of Ankeny, one of the point leaders on the Saturday night circuit, recorded the fastest qualifying time turning the half-mile oval at 26.55 seconds. Barton was second until a flat tire caused him to pit on lap 39. Then he developed motor trouble, later in the race and finished seventh. He failed to repair his car in time for the second race. Jim Anderson, Kansas City, Mo. Billy Myers, Grand Island, Neb. Vern Mondry, Lake Elmo, Minn.